Anything BBQ reminds me of summer. The nice weather is slooooooooowly approaching and I am excited for BBQ’s and eating outside. Its always been apart of family bonding time to bbq and hang outside until the sun went down, and many times past that. The other day I was craving BBQ chicken and the weather wasn’t appropriate so did the next best thing, threw it in the oven. Now, you can always buy a store bought BBQ sauce loaded with preservatives and a bunch of things you cant pronounce, or you can make your own from scratch and bottle it up. I always prefer to make sauces and condiments because not only is it a lot healthier, it helps you learn flavors and what is behind all the tasty things you like. the most important part of the recipe is obviously the sauce. I have learned over time what I like in a bbq sauce, and what I don’t like (too much vinegar, yuck). This sauce recipe is super easy, and can easy be manipulated. You can add sriracha for spice or more smoky flavors. Whatever the case may be, it is simple and easy and so worth it. Combine all of the ingredients in a small sauce pan and simmer for about 5-7 minutes. If you prefer a thicker sauce, than continue to simmer for another 5-10 minutes. Now the chicken is the easy part!!!!!! 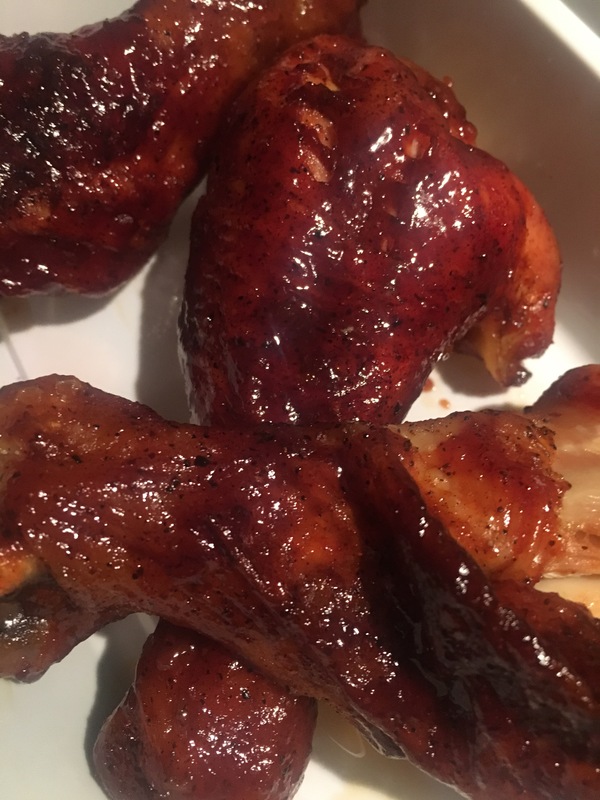 Lay your drumsticks on an ungreased baking dish covered with foil. Season the chicken any way you would normally season chicken. 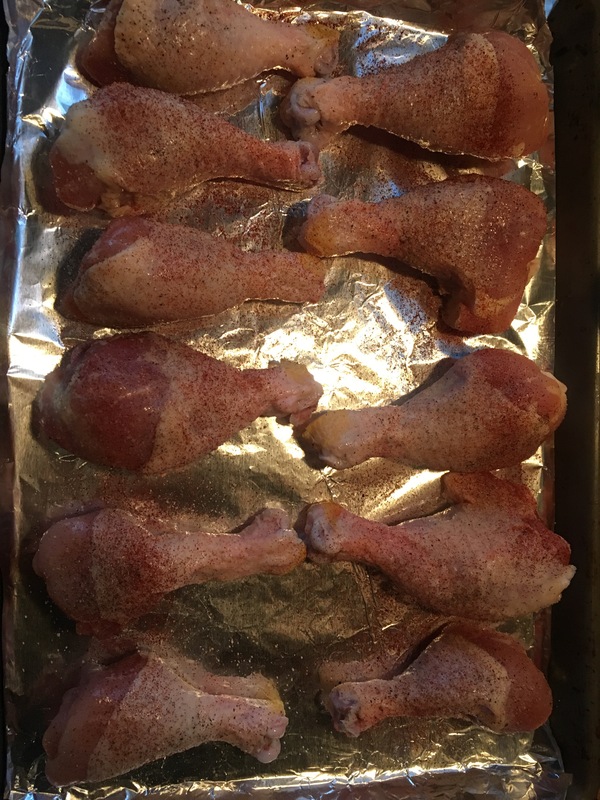 I evenly coated both sides of the drum sticks with salt, pepper, garlic powder and paprika. Simple and yummy. Bake at 375 degrees for 25 minutes or until the chicken is nice and crispy. Once the chicken is crispy, take the pan out and coat generously with the BBQ sauce. Pop back in for another 5-10 minutes and let the chicken soak it up. That’s all folks. So yummy and so delicious. I served with green beans and mashed potatoes!